…works as a freelance author and director of documentaries in Munich. Her work spans artist portraits and adventure stories as well as ambitious mountain reports in the Alps. She was awarded with the Bayerischer Fernsehpreis for “Jenseits von Samarkand”. For VIDICOM Lisa Eder delivered three episodes of the series “The Alps from above”. …has brought several reports and series such as “Leopard, Seebär und Co” to the screen. As a director and producer, Nadja Frenz produced for VIDICOM a string of documentaries, among them “In Love with Roses”, “The Bridge of Mostar”, “Nagano’s Songs” and “Baltic Coasts”. …has made his mark as a film maker in Northern Germany and beyond. Many of his subjects have a reference to the North and Scandinivia. For VIDICOM, Wilfried Hauke developed “Lincoln’s Last Night” for ARTE, Swiss Television and National Geographic. In his function of series producer he decisively shaped the 10-part series “Germany’s Coasts”. …is a Hamburg based journalist who has put his name on the map with ARD documentaries in contemporary history, such as “Schabowskis Zettel” or “Das Attentat von München”. For the VIDICOM production “The Rhine from above” he is the author of the episode from Basel to Mainz. …hit the media community when assisting the production on the movie „The Red Baron“. She studied directing at the renowned film academy in Ludwigsburg. Vidicom could rely upon Lena’s talent for directing the theatrical documentary “Rhinegold”, which was her first theatrical release. Her graduation film at Ludwigsburg (“Hundesoldaten”) won the prestigious German Grimme Award 2017. …studied at the Kunsthochschule für Medien in Köln before starting his career as a freelance author/director. He directed several short films for festivals and worked as an author for VIDICOM’s discovery series “Baltic Coasts”, “The Alps from above” and “The Rhine from above”. …studied Film and TV directing in Hamburg. He worked for ECO Media and Cinecentrum before he was assigned as Junior Producer for VIDICOM. He co-directed several films, among the “Palatine from above” and the feature length Athos film. …feels at ease with reports for ZDF as well as with ARTE documentaries and docu-soaps for Kabel 1. Following the successful collaboration with “Baltic Coasts” she delievered many more film for VIDICOM’s “from above”-series. …is a freelance author, filmmaker and director. Ever since the year 2000 he has made documentaries mainly for German pubcasters WDR and ZDF. For a VIDICOM special he turned stories of his home into film in “The Ruhr district from above”. …studied at Berlin’s Deutsche Film- und Fernsehakademie and New York University’s film department. His films for VIDICOM include “Titanic of the Sky”, “Calling All Aliens”, five of ten episodes “Germany’s Coasts” and two episodes of “The Alps from above”. …lives in Cologne and Zurich. In 2012 she has been awarded the renowned Grimme Preis for her documentary “Geschlossene Gesellschaft – Der Missbrauch an der Odenwaldschule” (ARD/SWR/HR). She is the director of VIDICOM’s “The Rhine from above”. …are filmmakers based in Frankfurt, Germany. They have always had a favour for exotic destinations. Together with VIDICOM, they set to discover an unique landscape right at their doorsteps. “The North Sea from above” is the first German cinema film to show the Wadden Sea only from the air. Everybody who knows the North Sea will love this film – but not everyone who loves the North Sea will recognize it at first sight. …is the founder of the production company Dokurama. Since 2001 he has worked as a freelance author, director and producer for ZDF, BR, WDR and the History Channel, for example for “Das Bayerische Jahrtausend” and the VIDICOM production “The Alps from above”. …is founder and CEO of Loyola Productions Munich GmbH. As director and producer he has realised the price-winning documentary “In Spite of Darkness. A Spiritual Encounter with Auschwitz”. He is also the founder and director of The Iñigo Film Festival held at the World Youth Day. For Vidicom, Christof Wolf directed and produced the animatics of “Challenging Churchill”. After finishing her studies in Munich in Paris, Julia Zantl directed and edited films for ARD, ZDF, Arte and several production companies, among the Doc en Stock (Paris) and Interscience (Berlin). Under Vidioms umbrella, she directed several films, for example “Baden-Wuerrtemberg from above”. …was assigned as director of photography for VIDICOM’s documentary series such as “Baltic Coasts” and “The Alps from above”. …founded the company Kellersohn TV in 2005, and has become a regular business partner in the production of VIDICOM’s discovery series. Aside from filming high quality documentaries, Sascha has put his focus on under water productions. …has brought his valuable experience as DOP for mare tv into the VIDICOM production “Germany’s Coasts”. For “The Rhine from above” he was again joining the team on land and on water. …was trained at ZDF in Mainz. Since 2001 he has been one of the few camera operators to master the Cineflex. He owns three of them and is mostly booked for big commercials, such as the spot for German beer brand Krombacher that airs every Sunday night before the popular crime series “Tatort” (ARD). Klaus has also worked for feature film and corporate video productions. His passion lies with feature length documentaries. 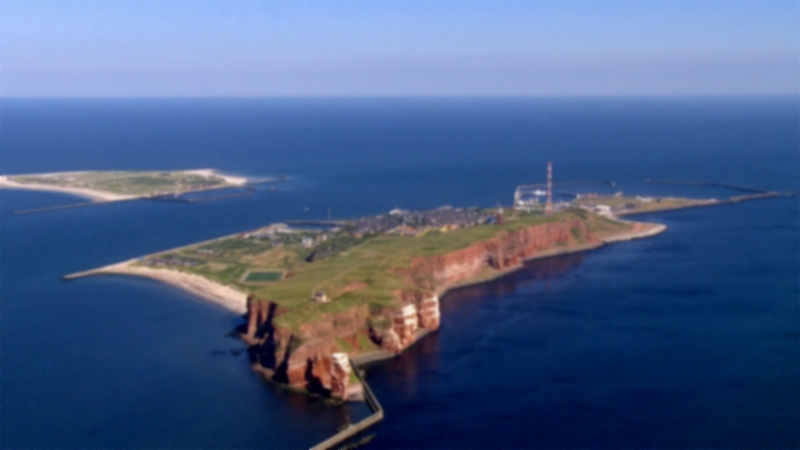 For VIDICOM Klaus Stuhl took to the air to produce the stunning aerials that have shaped the aesthetics for “Germany’s Coasts”, “Baltic Coasts”, “The Alps from above” and many more. Rich Dickerson began his music career as leader and songwriter for the NY based 80’s band Crosswind. After releasing the self titled EP on SOS records (produced by Peter Dennenberg) Rich opened up for acts such as Joan Jett, The Hooters, Southside Johnny, Winger, Sheryl Crow and many more. Rich moved to LA and began work as a music supervisor for movies such as Miramax “In Too Deep”, Miramax “Paid In Full” and Warner Bros. “Queen of the Damned”. Rich became the VP of Music for the animated internet Web network Icebox.com. Rich wrote the theme for the ESPN show “Off Mike’s” which earned him an Emmy Award. In addition to his film and TV work, Rich has also produced and written for recording artists including EG Daily with his top 10 Billboard Dance hit “Beautiful”. “Gigi” Meroni is known for his work on YooHoo and Friends, Scooby Doo! Abenteuer am Vampirfelsen and Metal Gear Solid. …is a music composer in Luxembourg and loves composing music scores for films, adverts, TV shows and for his own CD productions. Together with his partner, sound engineer Flavio Marredda, he offers a large variety of tailor made musical services for individual artists as well as companies (composing, writing, arranging, producing, recording & mixing in their own and their partner recording studio). In 2010 they received the award for Best Sound at the International Tourism Film Festival in Portugal. …has set the key note for many of VIDICOM’s sound tracks. As a composer, he takes credit for the music of for example “Baltic Coasts” (2011) and “The Alps from above”. “With what I do, I’m a dramaturg of sorts. When I write the songs I have to select the tone colour carefully, in order to bestow the full dimension to the scene”, he says about his work. Michael Verhuelsdonk visited the University for Design in Hamburg and Stefan Schabenbecks animation courses where he discovered his love for animated films and decided to make his passion his occupation. He started working for Die Trickkomany and was Animation Supervisor at Ully Arndt Studios, before he decided to work independently. …works in the field of innovative concepts, product design and visualisation. The studio from Bozen has designed the animations for “The Alps from above” and has found original routes across the three-dimensional mountain world. …was founded as an animation studio for film, 2D and 3D animations, web and graphic design by Mark Phillip and Kristin Thielemann in 2005. Their clientele includes from Swarosvki, Boss, Mercedes-Benz, ZDF, ARTE – and VIDICOM, for whom MediaTurns has produced the animations for “Germany’s Coasts” and “Baltic Coasts”.